2 LSA Moya Blush Champagne Flutes. All glassware by LSA is handmade mouth blown glass, with world-renowned glassware collections. With a full bottle of Pommery Rose Brut Champagne 75cl. 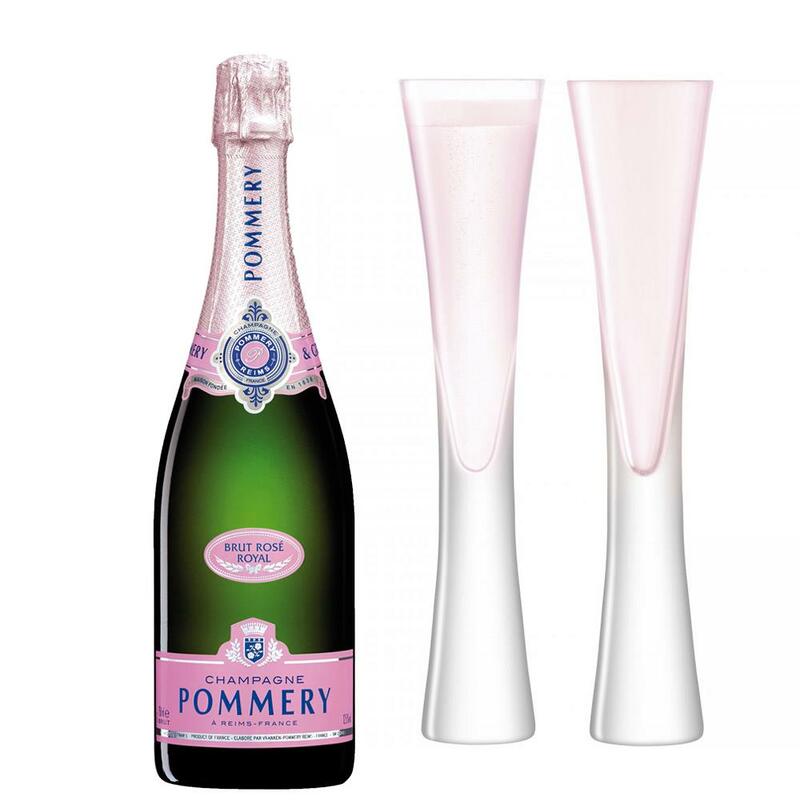 Pommery Rose Brut Champagne NV is Pale pink with finesse and youthfulness overlaid with a hint of red berries. Delicate pale pink with slightly salmon tones. Fine and persistent bubbles. On the nose, small red berries suggesting roundness and softness enhanced by a fine freshness in a world of distinction. Very subtle rose character: supple and finely robust with and appealing freshness and liveliness.